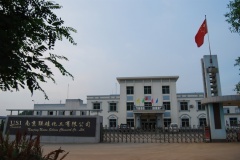 Nanjing Union Silicon Chemical Co., Ltd. (USI Chemical), a professional manufacturer of silane coupling agents and silicone fine chemicals, was established in July 2009. 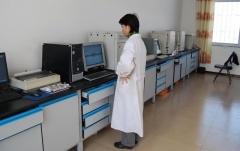 USI Chemical is committed to R&D of organic silicon new materials and optimized resources of silanes production and sales to provide customers with the best quality products and services. 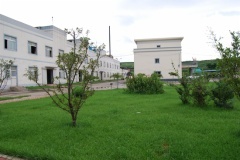 USI Chemical factory, a Hi-Tech enterprise, is one of the earliest leaders in R&D, manufacturing and sales of silane coupling agents in China, who is located in Gaizhou, Liaoning Province, the birthplace of the organic silane coupling agents in China. Ranging from our superior and normal products- Amino silanes, Epoxy silanes, Vinyl silanes, Methacryloxy silanes to special silanes, as well as our great R&D ability, our products can meet different levels’ customers’ requirements in daily chemistry, coatings, adhesives, oil drilling, electronics, textiles, rubber, plastics, glass fiber, foundry, etc. Our products are not only sold well in China, but also are exported to America, Europe, Asia, etc, and they all enjoy the good recognition and reputation. With the philosophies “competing with superior quality, winning with satisfied services, developing with continuous improvement, achieving with sincerity”, we are looking forward to cooperating with you to win a better future.